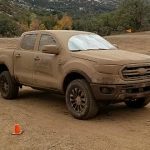 In a typical 2-Wheel Drive (2WD) Ford Ranger, the power from the engine is sent through the transmission, and is connected to the rear axle by a driveshaft. 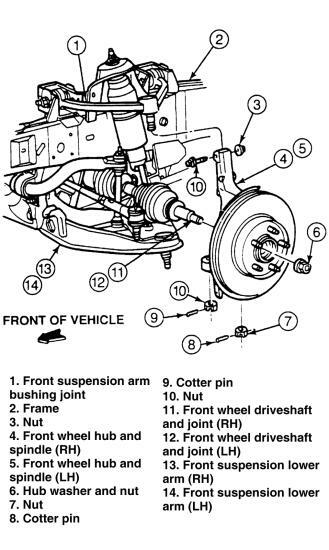 With 4WD, a transfer case is bolted to the rear of the transmission, and driveshafts connect the front and rear axle to the transfer case. When the Ranger is in 2WD, the power is transmitted to the rear axle. 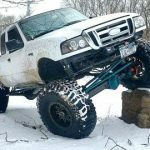 When the Ranger is in 4WD, the transfer case splits the power between the front and rear axles. 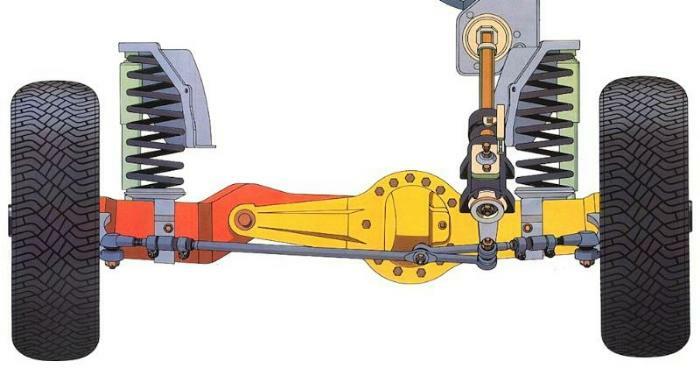 The front axle uses a locking hub (1983-2000) to lock (connect) the front wheels to the axleshafts. If these hubs are not locked, the wheel will not receive power from the axle. 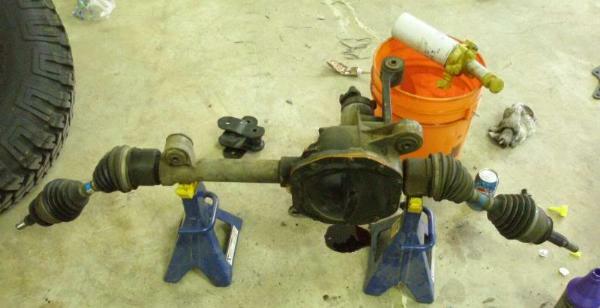 Note: the 2001-2011 4WD Ford Ranger has a live front axle. What that means is that the front wheels are permanently connected to the front axle, and do not use a locking hub. 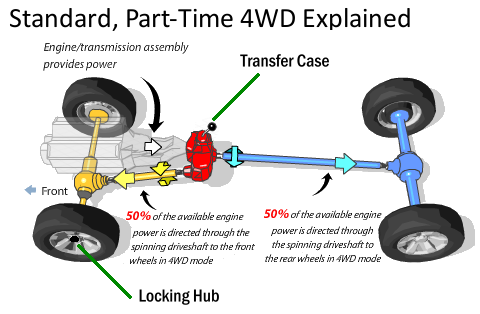 Misconceptions: Some believe that when you activate the 4WD, power is sent to all (4) wheels. I can see where people get that idea….from the name. At the very basic models, power is only sent to one of the rear wheels, and one of the front wheels when in 4WD. If the model is equipped with a limited-slip axle (differential), then when one wheel spins due to a lack of traction, the differential will automatically provide torque to the other wheel with traction. To get all (4) wheels turning requires a locking differential, which is a whole other article. 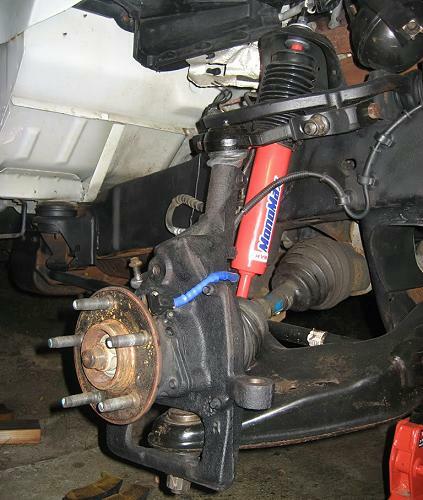 The 1983-1988 Ford Ranger uses a Twin Traction Beam (TTB) front axle (Dana 28 TTB) for an independent front suspension. 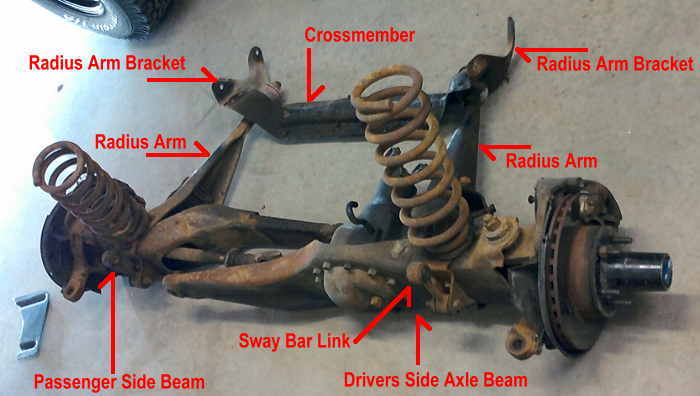 The photo below shows the 4WD Ranger front suspension, and the driver and passenger TTB axle beam. The end of the beam has a bushing in it, and bolts in to a suspension bracket on the trucks frame. This allows the axle beams to pivot independent of each other. It’s not labelled, but you can see the front locking hub on the brake rotor. The locking hub slides over the same wheel studs that your wheels bolt to, and is sandwiched between the wheel and the brake rotor. 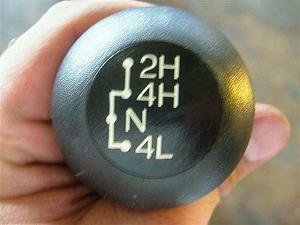 The transfer case knob has the transfer cases shift pattern printed on it. 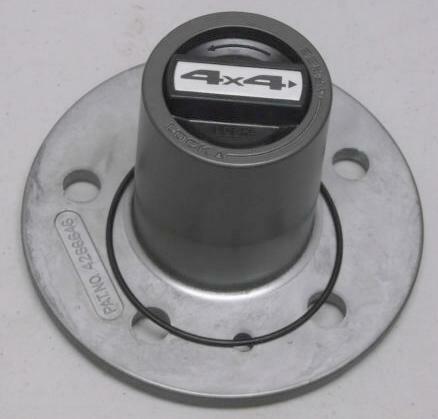 Below is a front locking hub for a Ford Ranger. If you look closely, you can see that the hub has the words LOCK and FREE cast in to it. The knob in the center of the hub has an arrow to indicate if it’s in the FREE or LOCK position. When the hub is turned to the LOCK position, it pushes a splined collar onto the end of the axle shaft, connecting the hub and axle together. 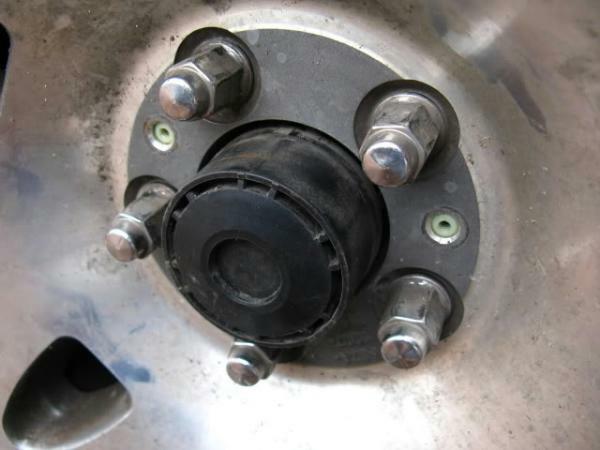 Since the hub is mounted to the wheel studs (remember, it’s sandwiched between the wheel and the brake rotor), it transfers the power from the axle to the wheel through the locking hubs body. If you’ve ever seen one of these break offroad, this is why the cylinder part of the hub is busted off of its round base. 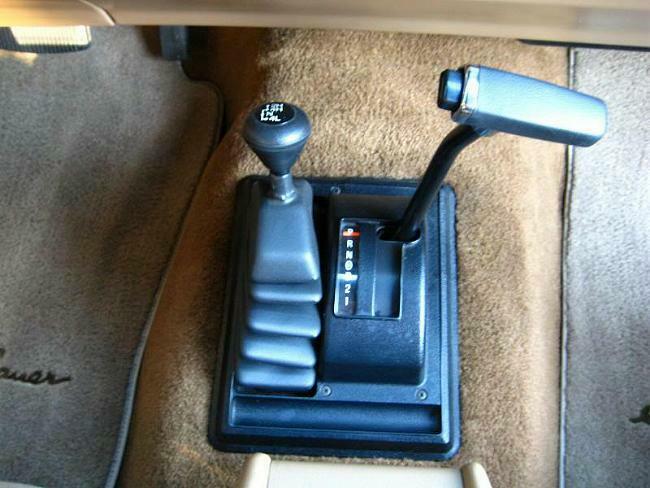 In 1986, Ford came out with “Shift on The Fly” and offered an electric shift transfer case. When you pushed the button on the “Touch Drive”, it sent a signal to a shift control module mounted under the dash. The module then sent a signal to the shift motor mounted on the rear of the transfer case, which engaged the transfer case. Note: The shift control module receives speed input from a speed sensor on the vehicle. 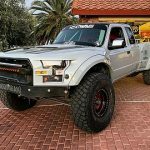 It does not allow the transfer case to shift into 4WD if it is moving to fast, or in to 4WD Low Range if it isn’t stopped. Additionally, the transfer case will not go in to 4WD Low Range (4LO) unless it is in 4WD first. 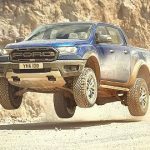 Ford still offered the manual transfer case as well as the electronic shift transfer case. 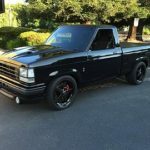 The automatic shift transfer cases aren’t as common in the 1986-1988 Ford Ranger as the manual shift transfer cases. 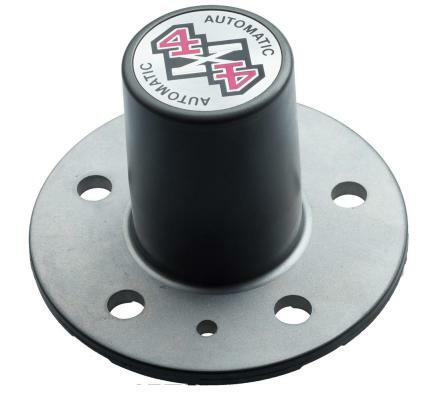 Below is an automatic locking hub for a Ford Ranger. You’ll see that there isn’t a knob on the end of it. 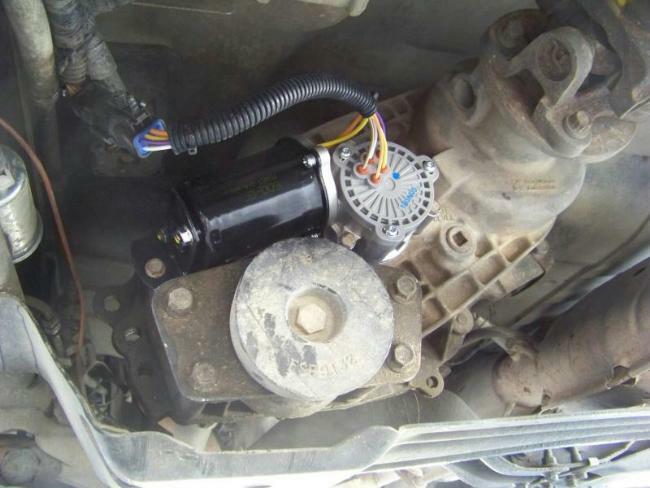 The spring-loaded hub automatically engages on the fly when the transfer case is shifted from 2WD into 4WD. The application of torque to the axle causes the splined collar inside the hub to slide on to the splined axle and lock. Just like the manual hub, it then transfer power to the wheels, since it’s bolted on to the wheel stubs behind the wheel. The Ford Ranger’s 4WD system shared the same basic operation from 1983 through 1994. 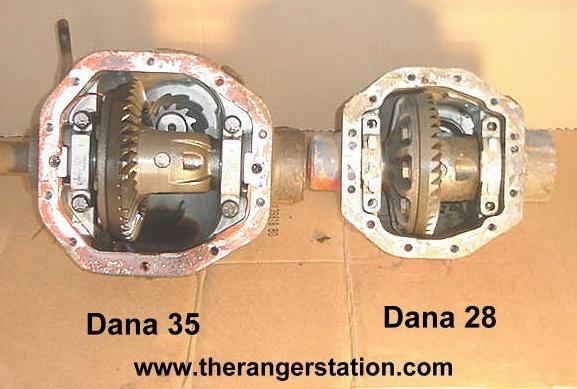 However, the Ranger received a larger front axle (Dana 35 TTB), and a slightly different transfer case. 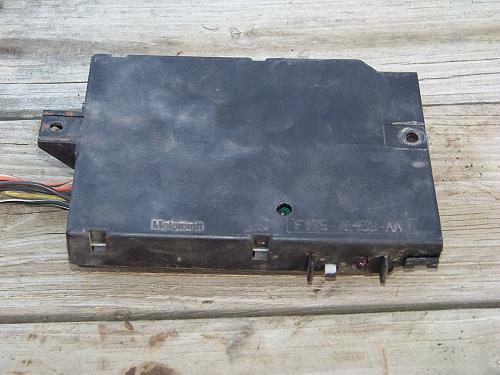 Additionally, the transfer case electronic shift module would be mounted in different locations. But to the average user, the only visual change was in the “Push Button 4WD” buttons. 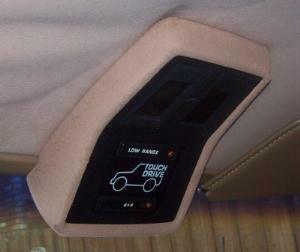 1989 saw a new dash design in the Ford Ranger, and the new design allowed for a place to mount the 4WD shift buttons. This meant they were now mounted in the dash, instead of in an overhead console. 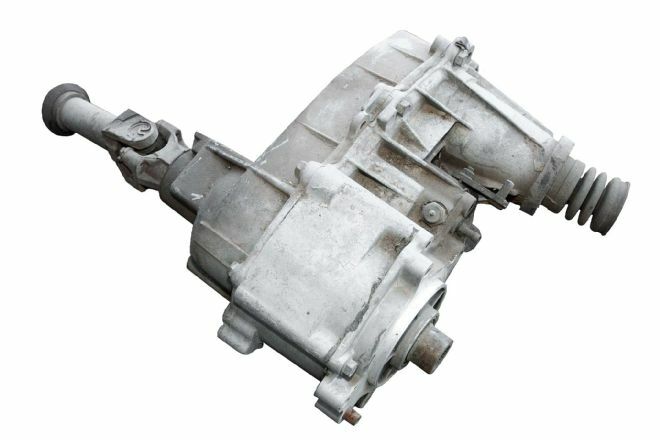 The manually shifted transfer case was still available during these years. Again, the only real change in the 4WD system came from another dashboard redesign. 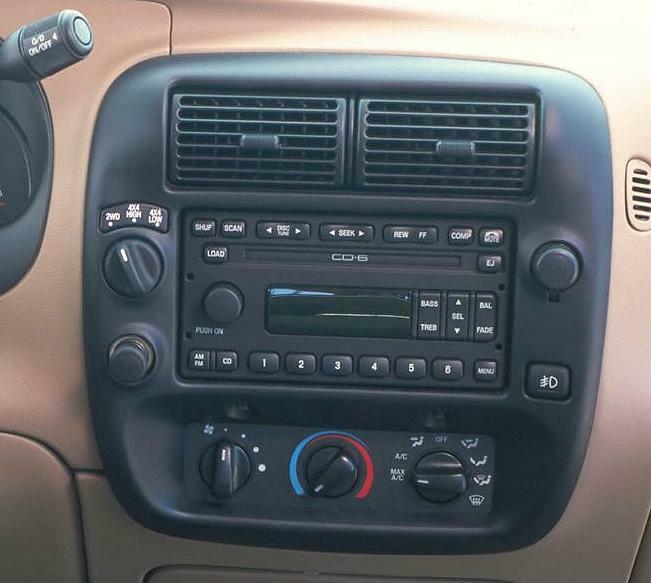 With the new design, the “push button” 4WD was replaced with a knob switch mounted in the bezel that surrounded the radio. 1997 would be the last year that you could get a manual 4WD transfer case in a base model Ranger. The big change in the 4WD for 1998 was a redesigned front suspension/axle setup. 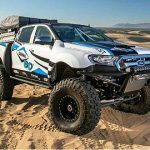 The Ford Ranger switched from the TTB independent front suspension, to a Short arm Long Arm (SLA) suspension (Dana 35 SLA). 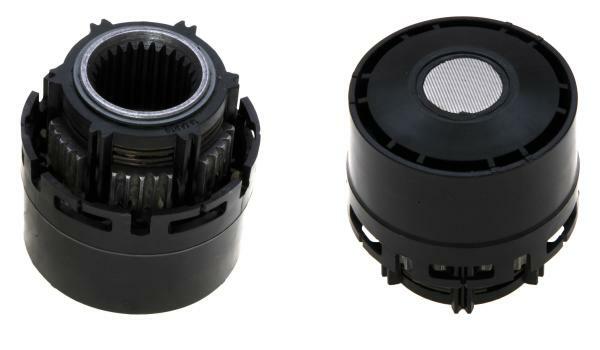 Another change was the introduction of Pulse Vacuum (PVH) Hubs. 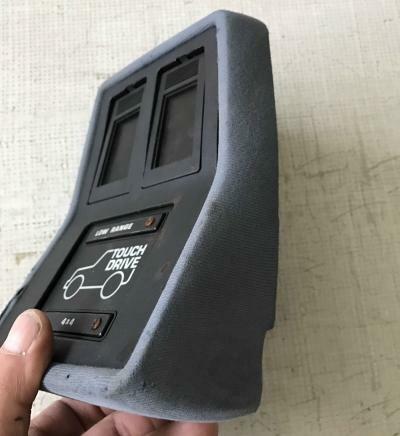 When the truck was switched in to 4WD, a signal was sent to the transfer case control module, which shifted the transfer case, but also sent a signal to a vacuum solenoid under the hood. 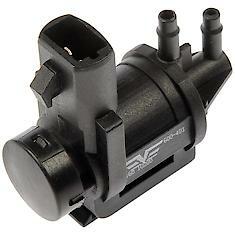 The vacuum solenoid then used engine vacuum (suction) to activate the front locking hubs. This design was only used from 1998-2000. 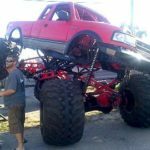 From 2001-2011, the Ford Ranger used a ‘Live Axle’ setup, which simply meant that the front wheel spindle was permanently connected to the front axle, and could not be unlocked. 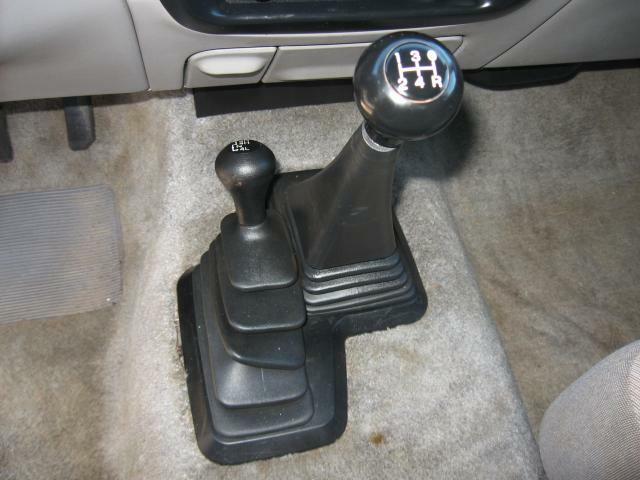 1997 was the last year that a manual transfer case was available in a base model Ford Ranger. 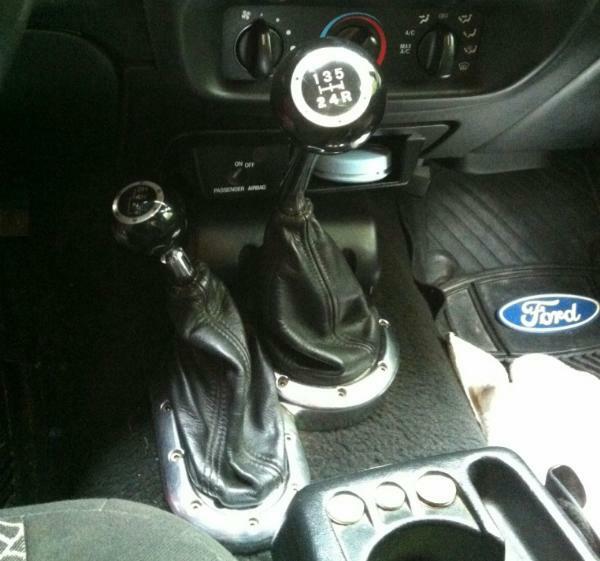 Ford re-introduced a manual transfer case in the 2002-2003 FX4 level II equipped Ford Ranger, and only came with the manual transmission.